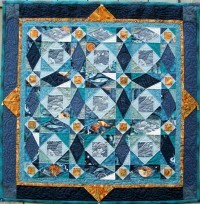 My first Quilting class was a Beginner’s Hand Piecing, Applique and Quilting course. I learned the basics of our quilting heritage from using cardboard templates, to cutting block elements with scissors. 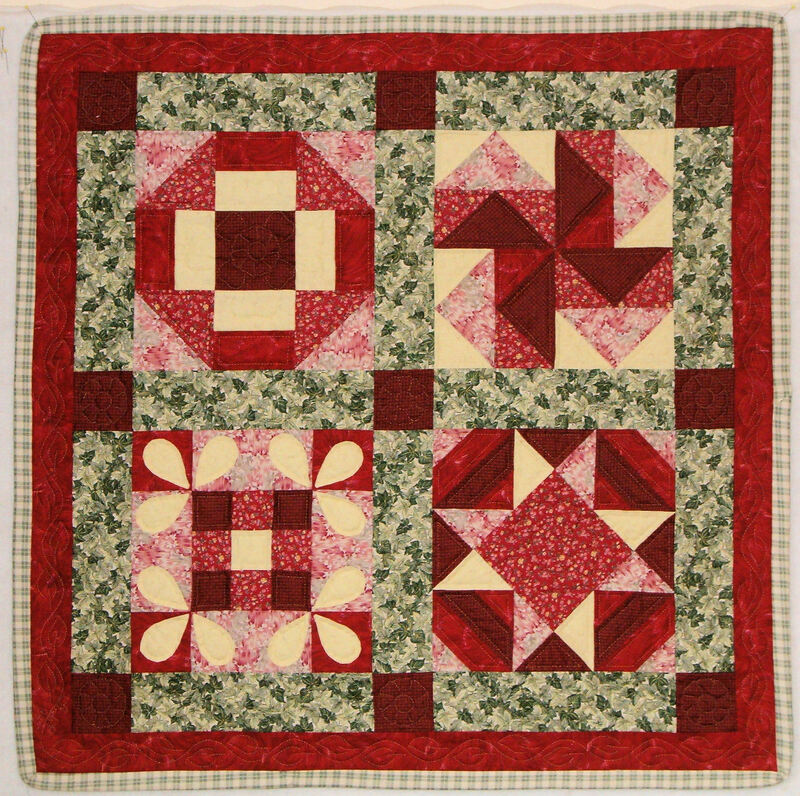 All blocks were hand pieced with a running stitch and hand quilted on a hoop with a “between” needle and a really good thimble. 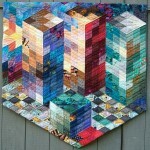 Hand Pieced using Jinny Beyer’s “Fragmented Block” technique which utilizes the 60° Diamond and Color Values to achieve the three dimensional affect. 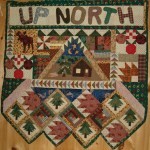 Machine Pieced and appliqued using a variety of traditional blocks such as Bear Paw, Flying Geese and Maple Leaf. 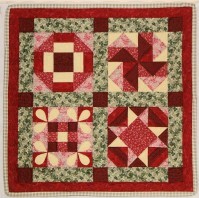 It is Hand Quilted – Personal Collection. Just love your Sunset On Wall Street. a go at doing one. Thank you for the kind words. Actually, the design is my own but the technique of using 60 degree triangles in this way was presented by Jinny Beyers in her great book Color Confidence for Quilters. The technique involves using color values to create the dimension. 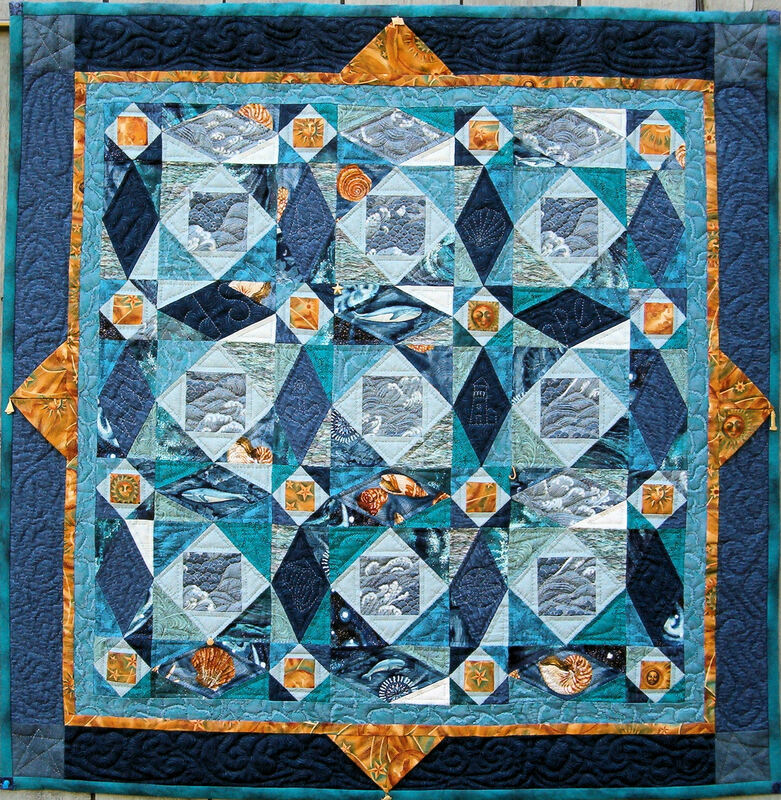 This quilt spent many hours on the design wall until it seemed just right. Give it a go! and keep me posted.